Just what do pollies think they're doing with our cities? Just what do pollies think they’re doing with our cities? Eight months into Angus Taylor’s time as ‘Almost-Minister’ for Cities, Liam Hogan reflects on the history of the ‘urban affairs’ portfolio under various federal governments, on both sides of the political divide. In November 2015 Angus Taylor, then simply the Federal Member for Hume, gave an adjournment speech to the House of Representatives about Science/Technology/Engineering/Maths (STEM), innovation, agriculture, and the jobs of the future. You can tell a lot about a government’s agenda from its members’ adjournment speeches. These speeches are the bottom-of-the-drawer addresses that Members are allowed to give, from time to time, about anything at all. That the soon-to-be-Assistant Minister for Cities should choose to talk about agriculture becoming dominated by high technology might sound banal: in fact, it’s completely revealing, if you know the context. It’s not possible to understand the history of various Federal Ministers for Urban Affairs, Housing, and Cities, over the past fifty years or so, without approaching it through the ‘structure and agency’ debate. It’s a hoary old social science argument. The question is really whether it’s the social environment and conditions of life that make for the way individuals and groups develop – ‘structure’ – or if the activities and efforts of individuals and groups are the more important thing to try to understand – ‘agency’. In the end it comes down as much as anything to preference, but the two sides of politics in Australia, Left and Right, have approached this Cities portfolio from completely different, mutually unintelligible, sides. We’ve got to ask exactly what task each side of politics thinks it’s doing in relation to cities at all. To understand where urban policy might be heading under the current Federal government, we must first acquaint ourselves with this dichotomy. It isn’t a matter of performance, or how well any given Minister for Cities might carry out their job – this is barely even possible to measure. We’ve got to ask exactly what task each side of politics thinks it’s doing in relation to cities at all. ‘Ministers for Cities’ have their origins in the late 1960s and early 1970s, a time of some fundamental rethinking of the way the state should manage urban spaces. In the time of the long boom after the Second World War, a much older concern about cities and industrialism began to take on some new and specific characteristics: a fear that the boom was being mismanaged, and that reconstruction after the conflict had created some new ecological and equitable evils, and that cities themselves were the sites where these questions were going to be resolved. The hopeful post-war consensus since 1945 had been that, given a breathing space of relative peace, and failing any big depressions on the 1930s scale, the cities of the free world would pretty much be fine. Two trends spoiled that confidence in the two decades between 1960 and 1980. Firstly, thinkers, writers, and lobbyists began to theorise urbanism as something historically interesting (and potentially dangerous) in its own right – liberal intellectual Lewis Mumford in The City in History (1961), for instance, or the Australian critic Hugh Stretton in Ideas for Australian Cities (1971). The second trend was unrest. Despite the boom, city centres became places where violence, organised and spontaneous, was more and more normal. Fear of disaffected minorities, and of youth, of real and imagined criminality in town centres, and of the failure of cities themselves to live up to their postwar promise, haunted elites. The 1970s were, in a real way, a time of urban crisis. ‘Structure’ and ‘agency’ approaches divide the two main political responses. One response to urban crisis was to try to reconfigure the city more equitably, to intervene, to build housing, to clean up, and to deal with structure: the approach shared both by the radicals in the streets, and by orthodox social democrats (and liberals) in politics and the public service. The other, dealing with individual agency, the intellectual child of economists like Friedrich Hayek and Milton Friedman, was Margaret Thatcher’s attacks on collective institutions (like closed-shop unions) she saw as illiberal, and Ronald Reagan’s aggressive defence of individualistic capitalism in the US, as the birth of the New Right. It is a political tradition that now prefers the label of ‘classical liberalism’. The ALP dreams, if a political party can dream, of egalitarian urban spaces. Labor’s approach to cities comes from its background in the urban working class, and the ALP dreams, if a political party can dream, of egalitarian urban spaces. Ben Chifley’s now-overused cliché, the ‘Light on the Hill’ to which Labor aspires, is a reference to a metaphor in the book of Matthew (5:14), that a town built on a hill cannot be hidden. It’s a religious metaphor, but it’s also an urban one. Labor’s approach to cities has been quite ideologically consistent for a long time. It is structural, material, measurable, concrete. It succeeds or fails on what is (or isn’t) built. Though the Coalition McMahon Government can claim the first public agency to deal with cities, the National Urban and Regional Development Authority (in 1972), it was Gough Whitlam and ‘Minister for Urban Affairs’ Tom Uren who, in the Department of Urban and Regional Development (DURD), gave this tradition of structurally thinking about cities its modern incarnation. The approach was continued half-heartedly, then rejected, by the Fraser Government, before being reinvigorated in the 1980s by Bob Hawke and Paul Keating, who, among other initiatives, funded the revitalisation of Pyrmont in Sydney. John Howard abandoned the approach entirely. Urbanism in the 1990s and 2000s saw a secondary boom in interest in cities for their own sakes. Pro-urban writers like Richard Florida and Saskia Sassen led it, but the context was a shift of wealth toward city centres and a series of efforts to ‘solve’ urban decay and decline. The urbanism of the post-1990s has been based around an assumption that dense, wealthy, creative, vital centres are both desirable and essential. For Florida it is investment in ‘creatives’, for Sassen the concentration of specific industries, which gives these places their global power. Ironically, though both writers are of the political left, the approach to cities they have championed has been taken up by political activists much more interested in ‘agency’ policy. ‘Cities’ are not a deliverable adjunct to the Turnbull Government’s idea of the ‘jobs of the future’: they’re key. And so to the present Turnbull government. The Prime Minister’s predecessors, John Howard and Tony Abbott, were more or less rejectionists of Federal intervention in cities policy (except where it came to funding roads, for culture war reasons). They preferred the minimalist, dry approach that cities were for the states. The current Prime Minister, instead, views cities as themselves of value, and is fascinated by the examples of San Francisco, Singapore, London, Tokyo, Hong Kong, and others, which seem to gain vitality by virtue of their sheer city-ness. The ‘Smart Cities Plan’, released in May 2016 jointly by the Prime Minister and Minister for Cities, exemplifies this approach: stressing ‘effective networks’, ‘participation of research institutions’, ‘disruptive technologies and the rise of the sharing economy’. ‘City Deals’ will position our urban centres, whatever their size, to realise their full potential. They will do this through coordinated governance, strategic planning, investment and reform. They are constantly changing, they are vital, they are energetic, they are dynamic; their governments, apart from encouraging private investment, leave them be. The structure is irrelevant. Agency is all. It is thus no coincidence that the portfolios of ‘Cities’ and ‘Digital Transformation’ are held by the same Assistant Minister. 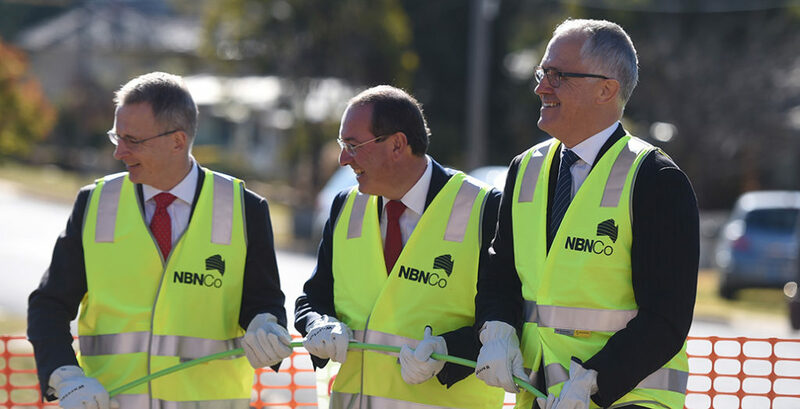 For Angus Taylor, it is the ongoing rollout of the National Broadband Network (NBN), which promises to digitally transform the country and its economy, that provides the backdrop to the Turnbull Government’s cities policy. It’s naturally quite difficult to assess the success or failure of a Cities portfolio that depends so thoroughly on the Ministers for Education and Training, and Small Business, and Communications, and of course, on the Treasurer. This is not a sign of confusion, it’s a core part of the design. ‘Cities’ are not a deliverable adjunct to the Turnbull Government’s idea of the ‘jobs of the future’: they’re key. Characteristically, though the Coalition sense of ‘agency’ does include public transport and housing, they’re projects in the abstract – it’s not for the Federal government to dictate where they should go. Though it does include ‘housing supply’, it’s to be achieved by reducing regulation and planning. More intangible things are key also: quality of STEM education, entrepreneurialism, digital literacy, workplace flexibility, ‘digital transformation’. There’s an interesting irony that though the NBN constitutes a very large budget item of infrastructure spending, it’s a special kind of infrastructure that, unlike train lines, housing projects, airports, business parks, or hospitals, will exist both everywhere and nowhere. Supporting disruption itself is a world away from the Whitlamite urban vision of Federal support to ‘development’. The agenda aims not to change the structure of what-goes-where in Australian cities, but how their citizens – the agents – interact with the economy. It is not just on built urban structures, but on the whole agenda (‘jobs and growth’) on which the Turnbull Government’s agency approach should be judged. Liam Hogan is a heritage and historical researcher, and is interested in the history of infrastructure networks in cities.